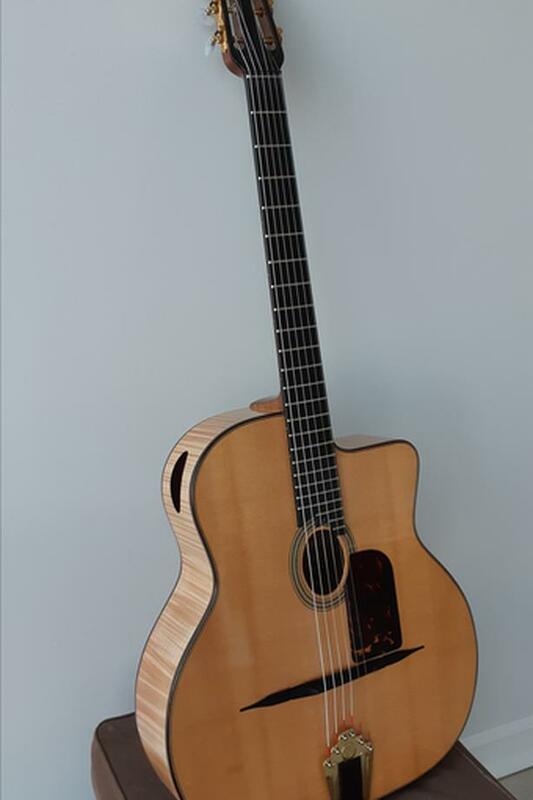 Hand made Gypsy Jazz guitar, by BC luthier Shelley D. Park. Built to the design of Jaques Favino. Has a slightly larger bout and more responsive bracing than a standard Selmer design. 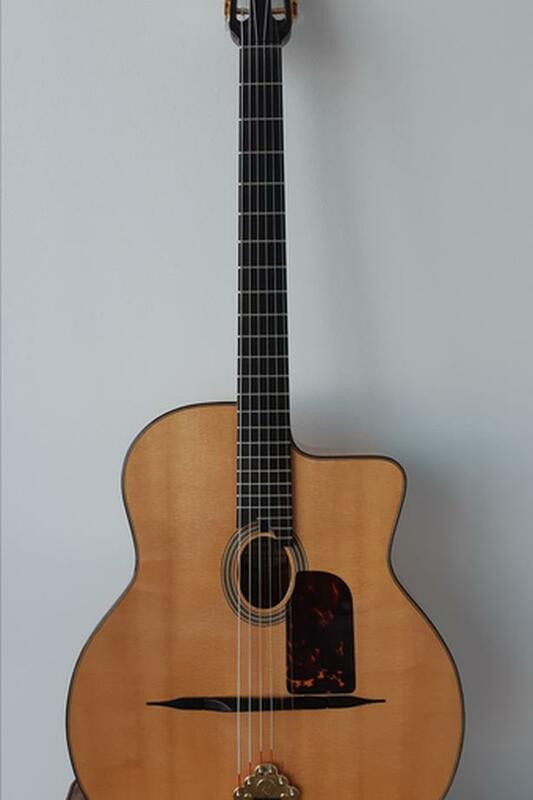 Built in 2011, in excellent shape, only some fret wear. Would cost 5000.00 new. Comes with very strong (airline-proof) custom case. 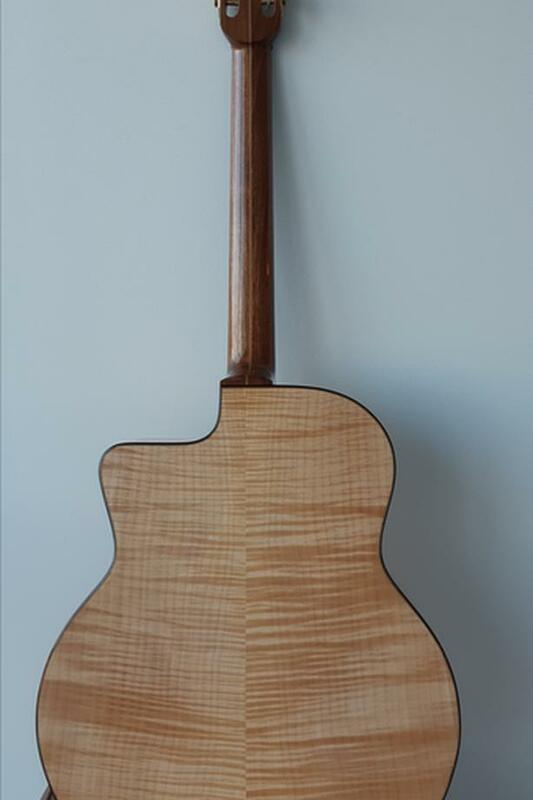 Maple back and sides for that nice amber tone.